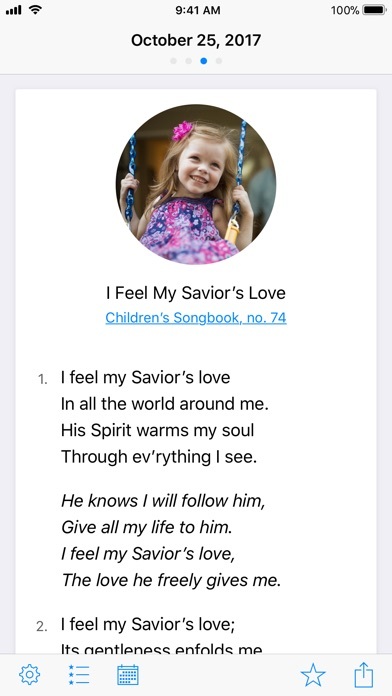 Be empowered every day with an inspiring scripture, thought-provoking conference quote, sacred hymn or children's song, and motivating video. Easily share these uplifting messages with your friends and keep track of your favorites for later! LDS Daily Verse is neither affiliated with nor endorsed by The Church of Jesus Christ of Latter-day Saints. I love this app, it has a daily reminder which I love because days can get get busy and before I know it the day is over so the reminder is great to help me and my children take a few minutes to focus on what’s most important. The only thing I can’t figure out is if there’s a way to search for a subject I want to go back to instead of going back day by day to find it? Where’d the Apple Watch version go? I love this App!! It is a great reminder to read my scriptures! The only downside is that this app used to have an Apple Watch version and now it doesn’t seem to exist. Where’d it go? It was really convenient for when I am in a place that I couldn’t get to my phone. I would love it if they could get that back! Other than that, it’s a great app! I use this app every morning during breakfast with my two daughters. We start with the song and video so we can get a feel for what the scripture and quote are going to be about. Their favorite part is when I show them the photo of the person, and they have to guess what their name is. We love this app and highly recommend it. Customer service has been great too, which is an added bonus! Using the scriptures to gain money from the believers is NOT something that comes from God in any aspect. I have loved this app; however, lately it has lost its graphics and is text only. Not what I signed up for. I love the infoAND graphics. Tried to contact makers, but unable to do so. Can’t see if I might have hit a button I wasn’t supposed to. 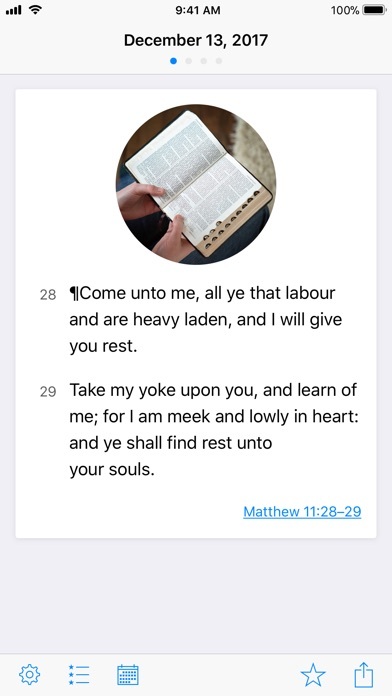 The daily verse and the related links and multimedia are good. 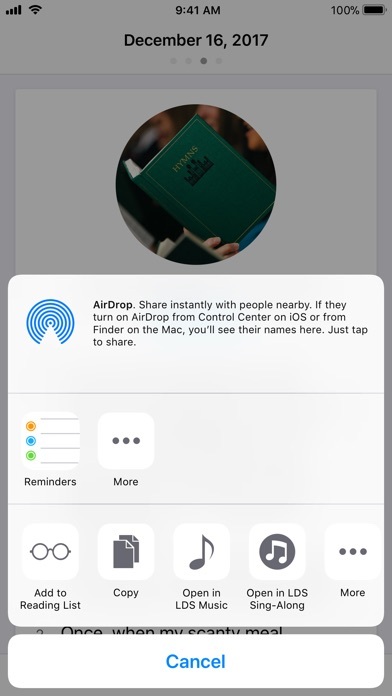 My Problem: The app features say that it works with family sharing. 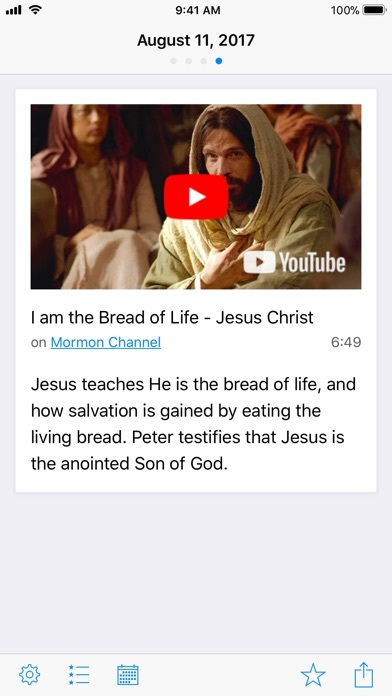 When i emailed the LDS Mobile Apps, they say sorry the app sometimes doesn’t share well with apple family sharing and ask if I’d like some promo codes to use to share a year subscription with my family. I reply yes please, and that we are a family of 5 so I’d need 5. It’s been 2-1/2 weeks and 2 more emails from me, but no response from developer customer service. You should clearly state that you have to pay for this. Seeing it’s free, but then finding out you have to pay for a subscription feels a little dishonest. I wouldn’t mind paying for an app once, but this seems expensive for what it's offering. This app is amazing and has been exactly what I’ve been looking for. It’s a great way to start out my day in such a hectic world. 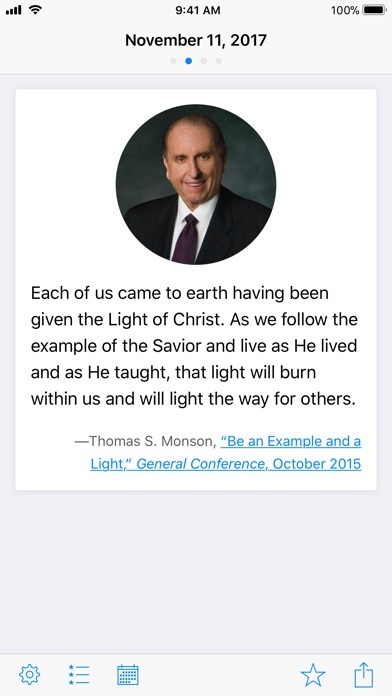 The one thing that would make this app even better is making the reference links open in gospel library instead of the lds.org website. Thank you for taking the time to keep this app going!